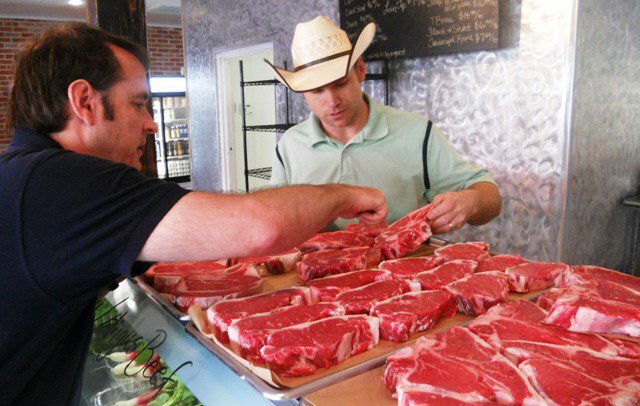 Historic downtown McKinney offers a variety of great food to eat there, or to prepare a home-cooked meal! The other day we shared a pleasantly late lunch with old friends Sandy and Henry at La Misha, McKinney’s European bistro, downtown on the Square. The girls loved the lush barley soup, made by owner Sonia Sosani. Henry and I wolfed down tasty Turkish-styled gyros, the flavors reminding me of exotic doner-kebabs my Derbyshire students introduced me to years ago in the UK. College students in England enjoy a cornucopia of ethnic cafes serving near any campus, unlike my own Dallas campus-home of decades, which has apparently signed a life-sentence contract with one fast-food sandwich company. In continental fashion, we McKinney friends talked leisurely at La Misha for hours, finally savoring espressos and cappuccinos. After visiting Laura Moore at her handsome art gallery on Tennessee, we walked one block back to the Square, with a short detour around the corner from Churchill’s Tavern to pop into The Canine Cookie Factory to buy hand-baked “squirrels,” our puppy’s favorite snack. Smelling the “canine cookies” baking in the store’s ovens reminded me of dinner needs for the human members of our family unit. We stopped up the street at Patina Green and bought local Texas artisanal cheeses, along with chef Robert Lyford’s delightful crispy toasts. We crossed Virginia Street, heading half a block north from the Square to buy steaks and produce from cheerful Sara Johnson at Local Yocal. 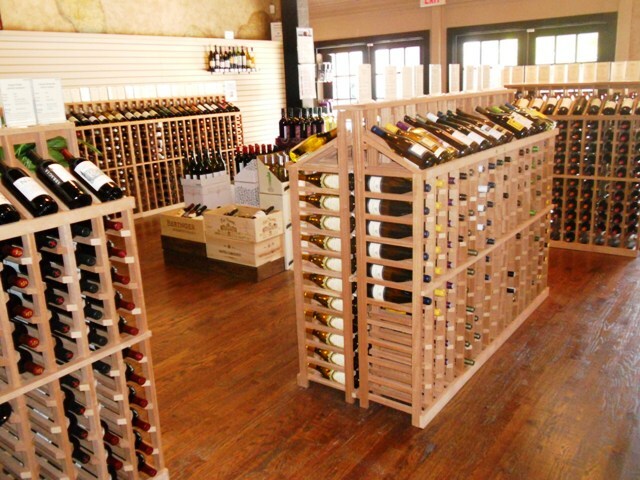 Owners Matt and Heather Hamilton stock an amazing array of local organic products. Our canvas shopping bag needed one final item to make dinner complete, a great bottle of wine from Andy Doyle, owner of McKinney Wine Merchant (at Virginia and Wood streets). While we browsed, neighbors arrived in the shop. After making our respective choices, we all walked next door to The Pub for pints of creamy Franconia Dunkel, brewed in McKinney not far from downtown. The stroll home through the historic district was pleasantly enhanced with sweet fragrances provided by antique roses, longtime favorites of McKinney’s east-side homeowners. Living so close to downtown, we appreciate being able to buy staples like organic milk, butter and eggs from local merchants on the Square. 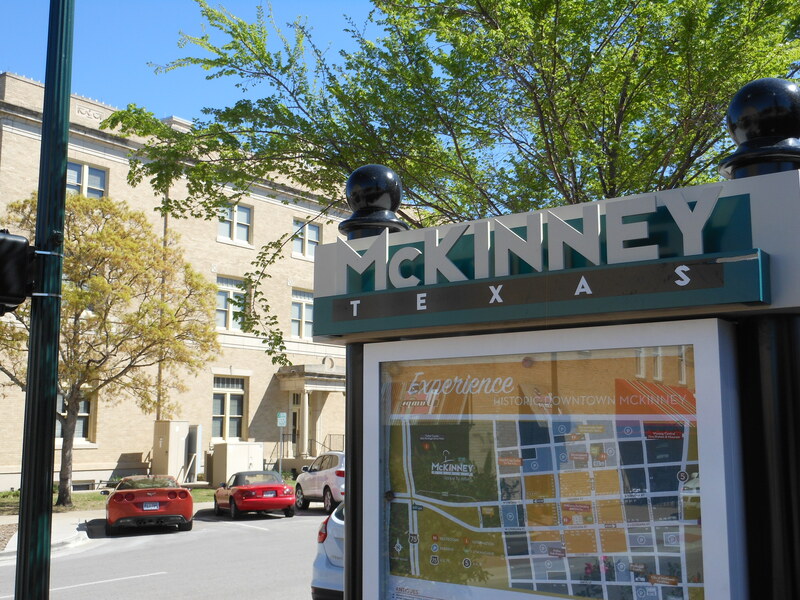 On Saturdays mornings, we walk over to the hugely popular McKinney Farmers Market at historic Chestnut Square (voted no. 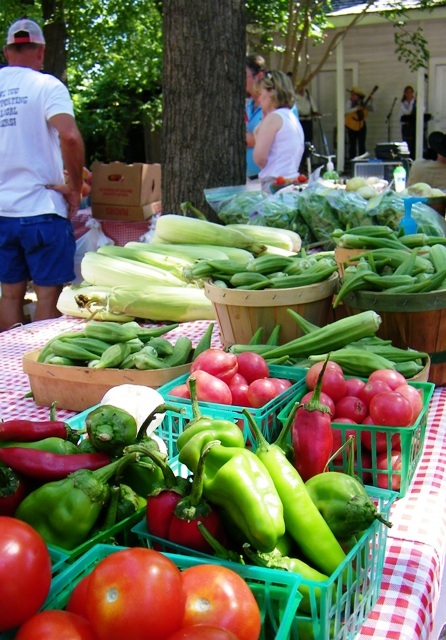 5, best farmers’ market in the nation). For dinner, we made a wilted salad of greens and Swiss chard, along with seared “McKinney Steaks,” all from Local Yocal. Matt Hamilton cuts these unique chuck steaks from Wagyu beef (the best of the Kobe variety in my opinion). The steaks are about 2”X2”X6”. Since long ago becoming a fan of Craig Claiborne’s practical recipes for New Yorkers with tiny apartment kitchens, I still enjoy a nice steak seared in a hot iron skillet on the stove-top. (I wasn’t in a New York flat when I discovered Claiborne, but I was a hungry college student, living in a tiny Denton, Texas studio, cooking on a hotplate). The “McKinney Steak” is ideal for the skillet. The creative shape allows for browning on all four sides, since they’re all the same width. Even my beef-challenged wife agrees that Local Yocal’s Wagyu is like eating butter. Wine guru, Andy, had correctly suggested a Marietta 2008 Petite Sirah to complement the meal. At a reasonable price, the deep-colored, aromatic red was richly layered, and complex enough to stay engaging throughout the wide range of earthy flavors served at dinner. Lastly, we relished apple and pear slices with the three artisan cheeses Robert selected for us at Patina Green: a rich goat cheese from the Bonham dairy, On Pure Ground, and The Sharp Shooter, a lovely butter-colored Emanthaler-type from Veldhuizen Cheese in Dublin. My favorite was soft and unique, The Eden, wrapped in a flavorful fig leaf from Brazos Valley Cheese in Waco. Dining on the Square, at home, is well worth the walk. About our guest blogger: Tom Motley is a professor of Art & Art History at Richland College in Dallas, an artist, and an organic farmer who writes The Motley Farm Report for C&S Media and Tom Motley North Texas Gardens at eatgreendfw.com. Tom also lectures on organic gardening, no-till farming, lovacore dining and ag issues. 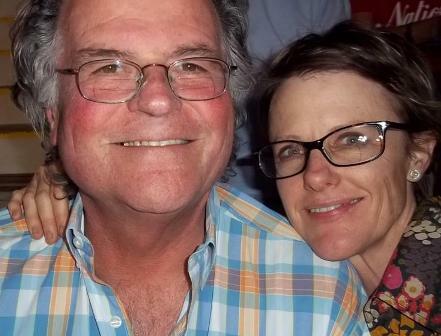 He and his lovely and creative artist wife, Becca, happily call McKinney’s historic district home. Would you be the Tom Motley which i met in Rome and was staying at the Seven Hills hotel in 1985 by any chance ? germain vezina from ottawa canada. I received a letter from you that i kept for many years . I answered but my letter came back . my letter was addressed at tom motley,8215 meadow rd apt 2063 Dallas Texas 75231 . We have sent your question on to Tom, as he was a guest blogger for us. He has your information and will respond if he is able. Thank you!